The last week I haven’t been able to do much drawing due to a corneal ulcer. Last Wednesday my eye felt like somebody had poured sulphuric acid in it, and I went straight to the emergency room. Fortunately after taking some eyedrops with an antibiotic, and some painkillers for a few days it’s healing really well and I’m back to the drawing board again. 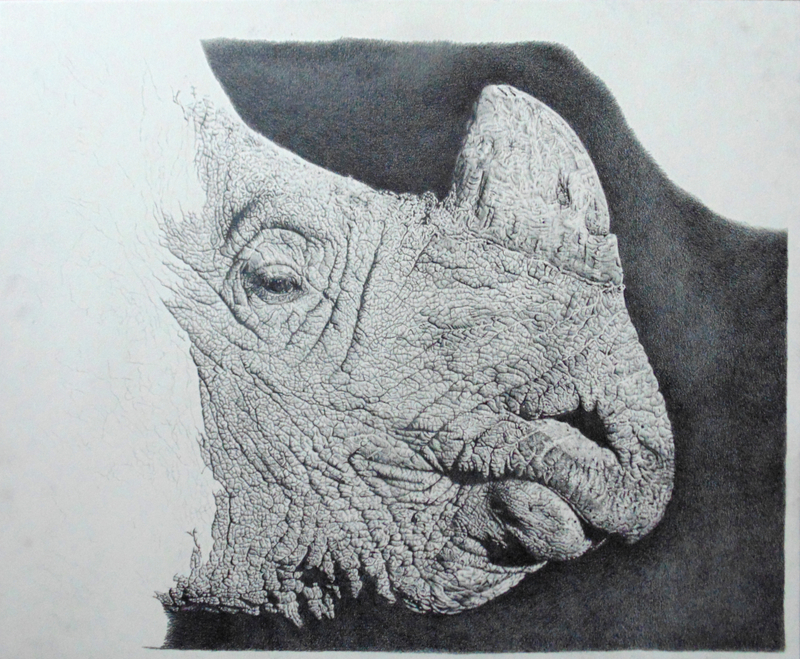 Today I have been able to make quite some progress with my rhino pencil drawing.